Facebook on Tuesday added a Messenger feature for anyone who has fired off a comment they regretted - a way to take it back. Messenger users will now have a 10-minute window after sending a message to undo it, leaving behind a note telling everyone in a conversation that the remark was removed, according to the leading online social network. "Have you ever accidentally sent a message to the wrong group of friends, mistyped something, or simply wanted to remove a message in a chat?" Facebook asked rhetorically. "You're not the only one! Starting today, we are launching a feature where you can easily remove your message on Messenger." 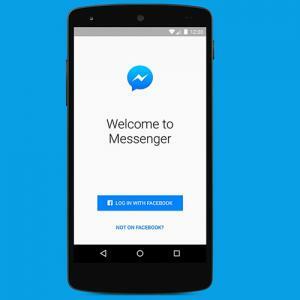 Facebook owns the mobile messaging application used by more than a billion people. Early last year it was revealed that Facebook co-founder and chief executive Mark Zuckerberg was apparently able to remove his sent messages, which caused pressure to make the feature available to all.